The platform previously used by Allianz required too much IT support. In Mi4biz, It is a great advantage that forms and processes can be designed by authorized business users without any IT support. We’ve met Özcan Varna, Allianz Group’s Turkey Customer Service Group Head, who told us that following their transition to Mi4biz they have a notification management system owned by a work unit, and added that they adapted Mi4biz to new requirements, new ideas and changing legislation without IT support. Have a great read to you all. 1. What are the primary reasons behind your decision to choose Mi4biz as your customer care management software? Mi4biz is a quite user-friendly software that incorporates all functions (its escalation structure, workflows etc.) that are needed in a notification management system. It is also a great advantage that work processes or flows from work units can be changed by users without IT support. Mi4biz stands head and shoulders above other products in regards of these aspects. 2. Have you integrated Mi4biz into your current systems? What have been the primary beneficial aspects of these integrations? We have integrated Mi4biz into our current CRM system. And this has allowed us to ensure customer singularity. We transfer customer details from CRM to the Mi4biz without having to create a new database for all customers. This makes submitting issues easier for users besides allowing us to store similar customer details on both systems. 3. What has been the advantages of being able to pre-design your complaint resolution processes? All companies wishing to provide their customers with quality service have to pre-design their resolution processes and define SLA’s for these same processes. That is important both in terms of ensuring customer satisfaction and improving traceability and provability in work processes. 4. Do you find Mi4biz a flexible product? What would be the best examples of its flexibility? Yes, it is quite flexible. Flows, category definitions, basic process operations such as identifying new areas are done easily using the software. For example, defining a new category and creating user groups and flows for this category is a quite simple process. These operations can be done easily by an admin defined within the work unit without IT support. 5. Does Mi4Biz lessen dependency on IT experts and software developers? For instance, does it ever happen that you need extra support amending processes or adding new fields to the screen? No, we definitely do not need IT support. And that offers a great advantage for expediting the work processes of the work units and lessening the work load of the IT department. 6. What has been the reaction from your customers after starting to use the Mi4biz? How would you rate the increases in efficiency you have witnessed in your notification management processes ? Customers, indeed, expect fast and quality service from companies. The only viable consequence of not being instantly able to access on the system the details of a customer, who is telling you that he has contacted you before to communicate a demand or a complaint, and share with him the results of his query is loss of reputation. Managing customer messages, performing certain SLA’s, updating customers at certain intervals on the progress status of their queries and customer-based logging of these processes are no longer regarded as premium service; it is something all customer expect from you. Since starting to use the Mi4biz, we have witnessed a serious reduction in the length of complaint resolution processes as well as in the workload of users thanks to user-friendly screens. Apart from that, as we mentioned before, its flexible structure allows you to make quick decisions and implement them on the system besides reporting the results. 7. How would you compare the current state of your customer management operations to their previous state without the Mi4biz? The previous platform used by Allianz required too much IT support and system resource. The best thing for us has been the quick implementation of Mi4biz without too much IT support allowing us to get rid of the previous system, which was too much of a drag on our labor force / system resources. Prior to our transition to Mi4biz, we had a platform owned by the IT department. Following our transition to Mi4biz, we now have a notification management system owned by a work unit. According to “Global 500” study carried out by one of the world’s most powerful finance groups, Brand Finance, Allianz is the “World’s Most Valuable Insurance Brand”. Allianz with its 142,000 employees is offering its services to a total of 85.4 million customers in 70 countries across the world. On the other hand Allianz Turkey, which houses Allianz Insurance and Allianz Life and Pension within its ranks, with its 2500 employees in 12 regional department and a total of 4000 dealers in 81 provincial towns, is offering its services to a total of 5 million customers. 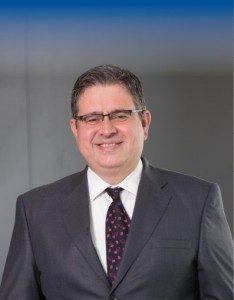 Allianz Insurance, which was rated Baa1 internationally and Aa2 domestically by the international credit rating company Moody’s, has proved its status as the most powerful and most trusted orginasation receiving the top mark among other financial bodies. 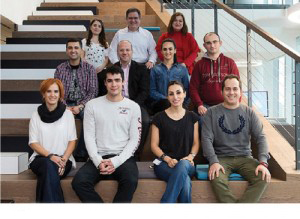 Allianz Turkey Customer Services Center with its 256 employees is serving its customers in many channels such as life, retirement, home, work place, goods, accident and health. Allianz Customer Services is making 40,000 out-calls and receiving a total of 200,000 in coming calls a month. 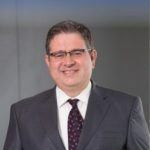 Mr. Özcan Varna, Group Head of Customer Service, Allianz Group Turkey, through a period of 23 years, has had many responsibilities in areas such as Customer Services, Social Media Management, Complaint Management, Call Center and web-chat. In-house Software or Buy it ? What Makes The Customer Happy! A 22-Question Test: How Good Are You at Complaint Management? Message To Customer Service Departments Worldwide!